Elections in Gujarat will be held in two phases on December 9 and December 14, and the counting will be held on December 18. Congress said that defective EVMs and control units should not used at any polling booth. 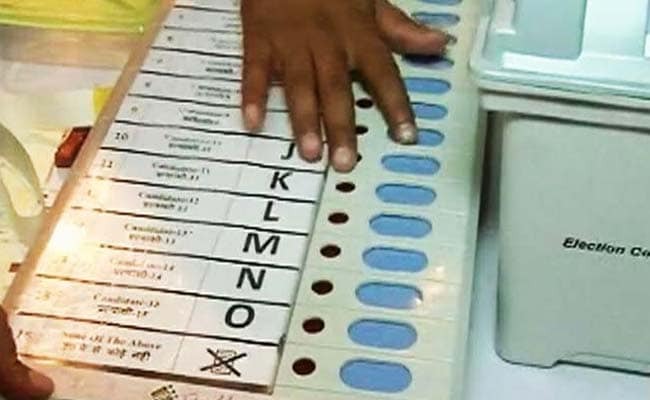 Ahmedabad: The Gujarat High Court issued a notice to the Election Commission today on a petition moved by Congress's state unit seeking that EVMs and VVPATs that were found defective be sealed and not used in the coming Assembly polls. A division bench of Justice Akil Kureshi and Justice A J Kogji issued notices to the EC, the state chief electoral officer, and the central government through its Ministry of Law and Justice on the petition moved by the Gujarat Pradesh Congress Committee. The bench asked them to respond by November 13. Elections in the state will be held in two phases on December 9 and December 14, and the counting will be held on December 18. For the first time, the EC has decided to use VVPATs across all booths in 182 Assembly seats in the state.